Here is a partial listing of typical applications in a power plant where ASCO products provide reliable solutions. Ideal for steam, air, or liquid flows. 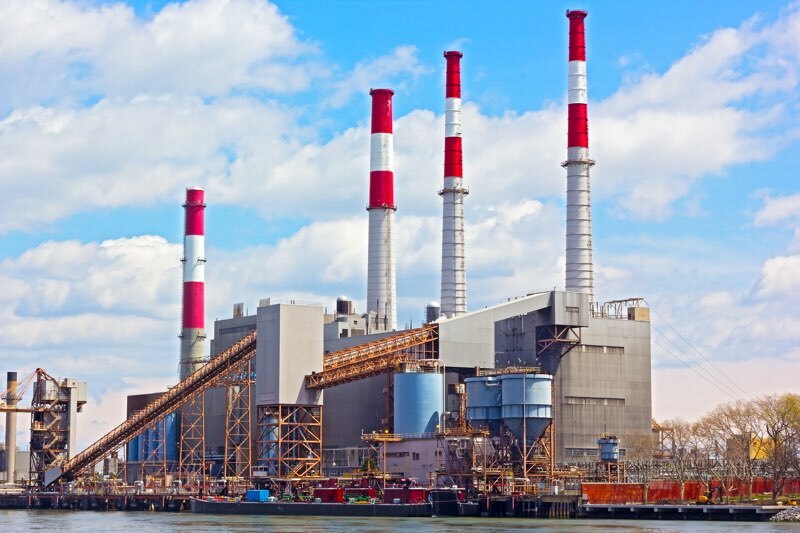 Throughout the power plant, our solenoid valves provide superior service in areas such as SO2 scrubbing, turbine lubrication systems, and igniter burner No. 2 fuel lines to name a few. Filters, regulators, and lubricators treat air quality and pressure in your plant’s pneumatic system. Apply them to control pressure or meet filtration requirements for your pneumatic equipment. These high-performance products are available in multiple configurations, including electronic regulators. Well suited to replace ball valves in air, water, and steam applications with pipe sizes 2 1/2" or smaller and up to 150 psi. This compact solution reduces cost of ownership, eliminates water ham- mer, and creates tight shutoff in both directions. Available with limit switches, AS-interface®, and DeviceNetTM protocols, Class I, Div. 2 HS Series position indicators, and low power solenoids. ASCO integral or remote pilot valves are especially designed for dust collector applications, combining high flow, long life, and extremely fast opening and closing to produce reliable and economical operation. Valves with quick mount connections eliminate time consuming thread cutting and sealing. A range of high-quality sensors with long-life designs and ensured repeatability, these signal when process media reach pressure set points. They play a vital part throughout the entire power generation process. The ASCO RCS is a redundant pilot valve system that acts as a single 3-way valve. Features include the ability to perform automatic online testing of the redundant solenoid valves, automatic partial stroke testing of the process valve, and online maintenance capabilities. Use this product in high reliability or critical applications. Certified per IEC 61508 Parts 1 and 2 and are SIL 3 capable. Designed to operate at high cycles or for long periods of dormancy, these 3 and 4-way models provide ensured action in demanding applications. Features include, manual operators, high flows, and explosion-proof options. Plus new 0.55 W models are perfect for networks with low power limitations. Brass and stainless steel versions available. A large range of high quality Numatics cylinders that can withstand the harsh environment of power generation systems. Whether you are operating a scrubber, bag house, or damper controls, Numatics cylinders are used to open and close large orifices in these systems. Available in 17 bore sizes from 1 1/2" to 24". Fluid Automation Solutions for Power Generation Market from Mead O'Brien, Inc.